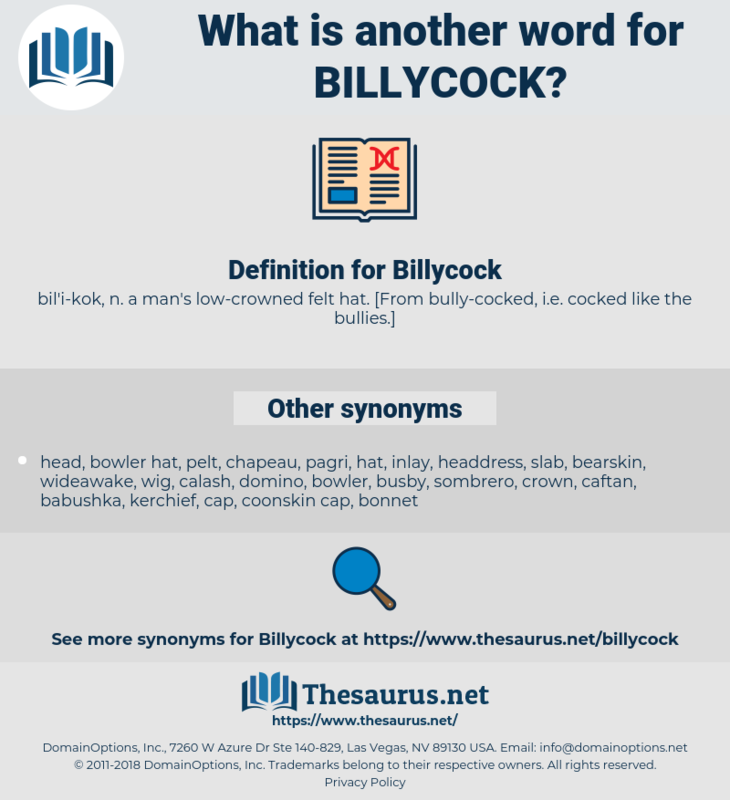 What is another word for Billycock? 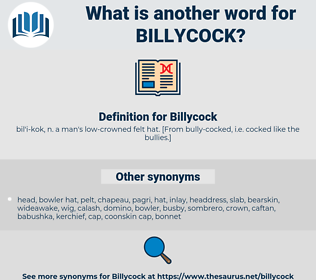 Barney Bill took off his Luke's iron crown of a billycock hat and scratched his cropped and grizzled head. They may hide it away in their billycock or in the collar of their coat; but, depend upon it, the tail is there.